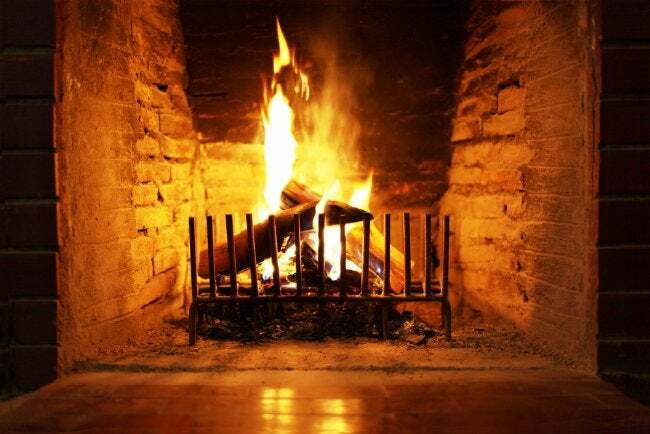 Before having your first fire of the season, read these tips on operating your wood-burning fireplace with the utmost efficiency. When you’re pulling your parkas and mittens from the back of the closet, it’s also a good time to make sure your fireplace and chimney are safe and ready to operate at top efficiency. First, be choosy about the wood you burn. Seasoned hardwoods are best. Stay away from burning scrap wood derived from crates or pallets; when ignited, they may emit toxic fumes. Consider installing a top-mounted damper. Providing a tighter fit than conventional dampers, they function much like a chimney cap to help keep out rain and snow. If you decide to go with a conventional chimney cap, choose one that’s stainless steel. They’re a bit more expensive but last longer due to their rust resistance. Of course, keeping the chimney clean is a must. Have the sweeps come in at least once each year. If you burn more than three cords of wood a season, have them come twice. What you gain in fireplace efficiency, not to mention peace of mind, is worth the extra cost.